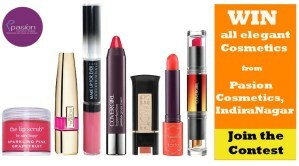 Home / Beauty & Fashion • Lifestyle / Sponsored Contest: Win Cosmetics Gift Vouchers in Bangalore! Sponsored Contest: Win Cosmetics Gift Vouchers in Bangalore! The Lifestyle Portal teams up with Dealhome for a brand new contest for our readers in Bangalore. 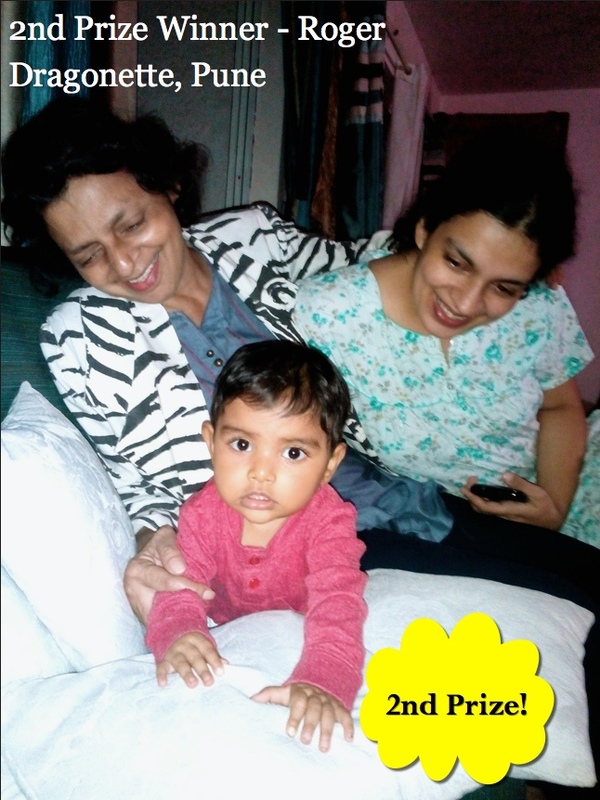 DealHome.in offers all our readers living in Bangalore exciting contests and amazing deals in your city. You can find great deals across several categories ranging from Cosmetics, Home Appliances, Furniture, Men & Women Accessories and Apparel and lots more. 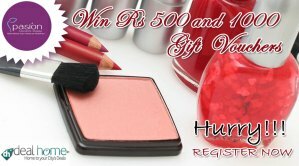 Join one of their latest contests by clicking on this link and you might get to be the lucky winner to walk away with two Rs 1,000/- or ten Rs 500/- worth of Gift Cards to buy branded cosmetics such as Aroma Magic, Lakme, Jolen, Revlon and Jovees. What’s more, everyone who registers in this contest (by filling up the form) can get a 10% discount on a minimum purchase of Rs. 500/- at Pasion Cosmetics store, Indira Nagar, Bangalore! 😀 Yay!! This contest is sponsored by Pasion Cosmetics in Bangalore and the offer can be availed in person when you personally visit their store. 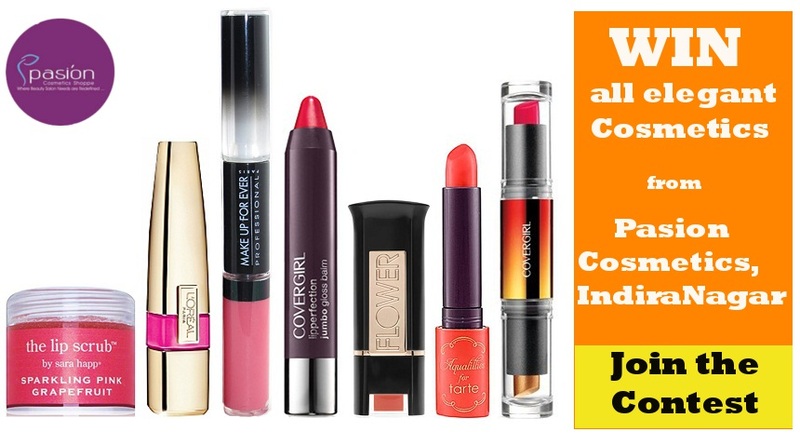 Simply click on the link here – Win elegant Cosmetics from Pasion Or 10% Off and make sure you register by entering your details in the form. Hurry, you’ve got time until this Sunday to go – so don’t miss out! For any queries on the contest and/or products on offer, please contact deals@dealhome.in giving The Lifestyle Portal’s reference. 2) As soon you register – you’ll be informed on email/ SMS if you’re a winner. The Lifestyle Portal offers you a unique way of promoting your brand through our website for a nominal fee! We keep hosting reader driven competitions, promotions and giveaways that will have our valuable readers (new and existing readers) take part to win exclusive prizes sponsored from you. This not only helps you in promoting your brand, but also gives our readers (and your potential new customers) a first hand feel and trial of your exclusive products and even provide you with their valuable feedback! So do get in touch with us at tanya@tanyamunshi.com right away if you wish to sponsor a competition for a nominal fee at The Lifestyle Portal.